Situated in the heart of Victor Harbor, Bartel & Hall was established in 1979 by partner Kym Bartel, with Tony Hall joining the firm as partner in 1983. The firm covers a diverse range of legal fields, with each partner focusing on their own areas and both having extensive expertise in the area of wills and estates. They understand that no two situations are the same, and strive to tailor their advice to meet your individual needs and achieve the best outcome for you. 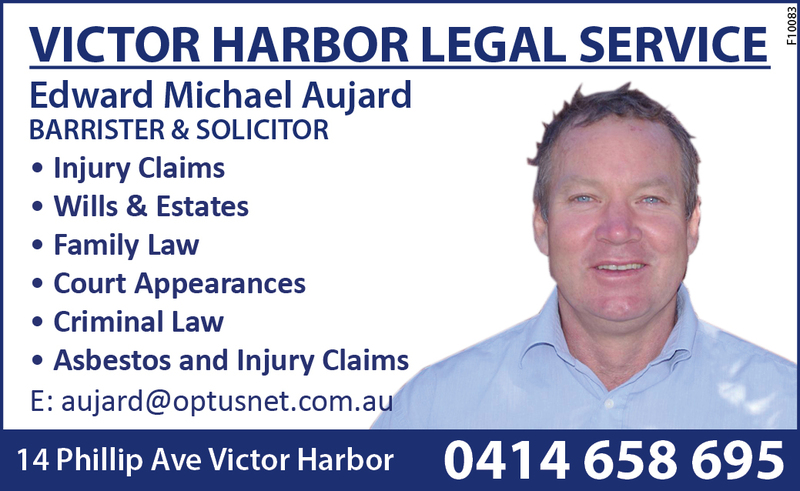 If you are looking for the services of a competent straight talking lawyer on the Fleurieu / South Coast give VICTOR HARBOR LEGAL SERVICE a call.